Rick Leijssen is one of the recipients of this year’s Emil Wolf Award, for presenting one of the best contributed talks at the 2016 Frontiers in Optics conference held in Rochester, USA. Congratulations to Rick! With Hugo Doeleman and Femius Koenderink, we published an article on the use of hybrid antenna-cavity systems for spontaneous emission enhancement. 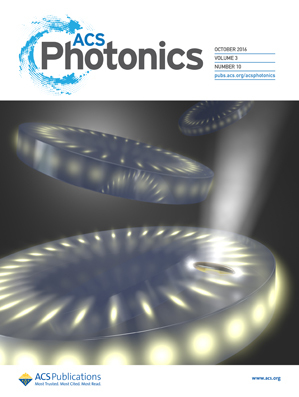 Check out the cover of ACS Photonics! In our latest arXiv submission, we propose a new mechanism to create a coherent coupling between a macroscopic mechanical resonator to a two-level quantum emitter. The idea relies on a principle we term mode field coupling: mechanical deformation directly affects the Rabi rate with which an emitter couples to a cavity. This effect allows the emitter to emit phonons instead of photons, and can be surprisingly strong. 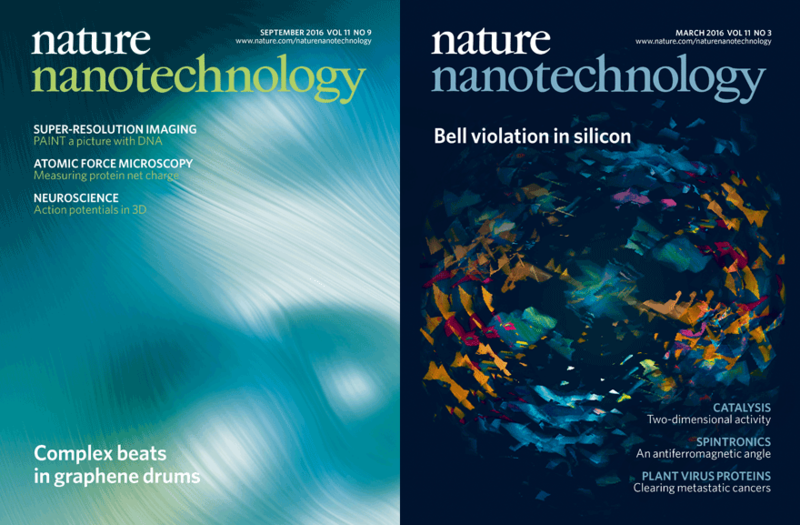 This research is a direct collaboration with Michele Cotrufo and Andrea Fiore at TUE. Juha Muhonen was awarded a prestigious postdoctoral fellowship from the EU to perform a 2 year postdoctoral project on coupling photons, phonons, and spins in nano-optomechanical systems. Congratulations Juha!